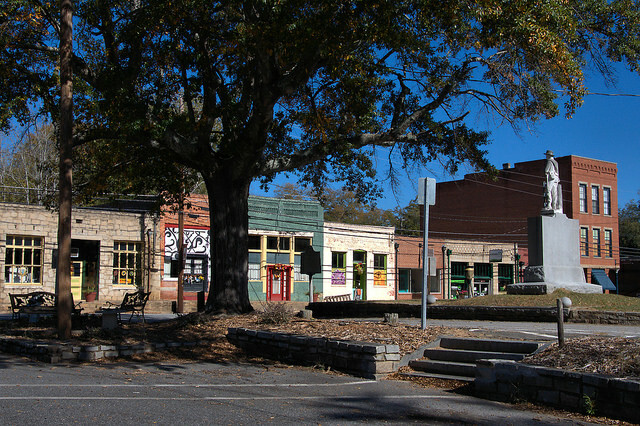 Platt Street is located on the west side of the courthouse square and is a good example of small town revitalization. 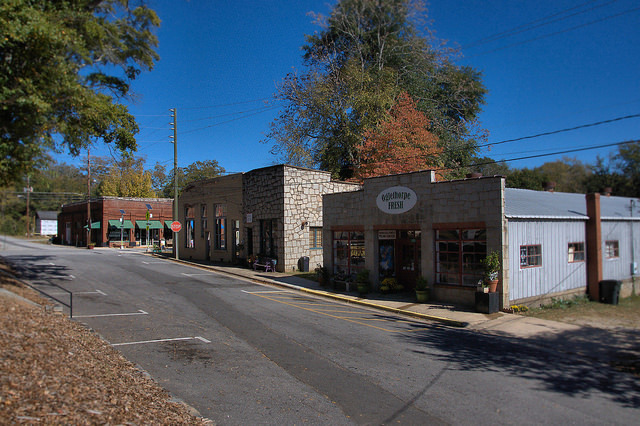 Oglethorpe Fresh (on the right) is a sustainable, local farmers market that encourages artists, musicians, historians and other creative types to come together and share ideas. 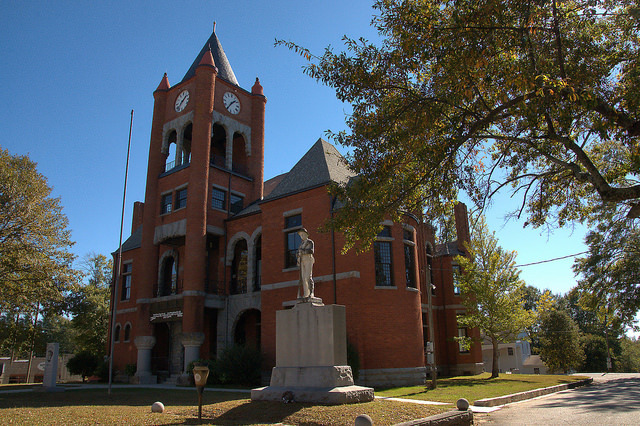 Designed by L. B. Wheeler, W. H. Parkins, and H. I. Kimball, Lexington’s Richardsonian Romanesque courthouse is one of my favorites in Georgia. 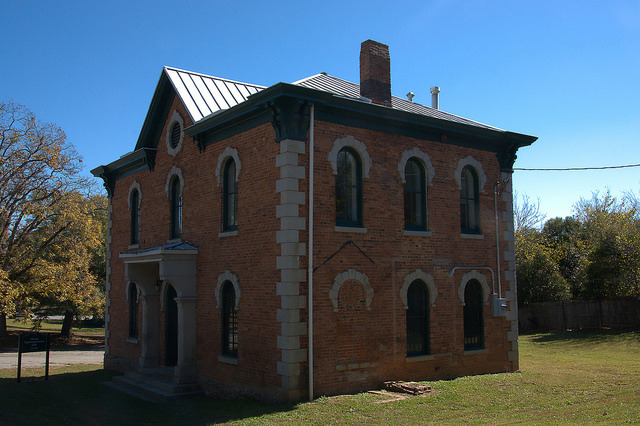 This jail was in use until 2002 and is now owned by Historic Oglethorpe. 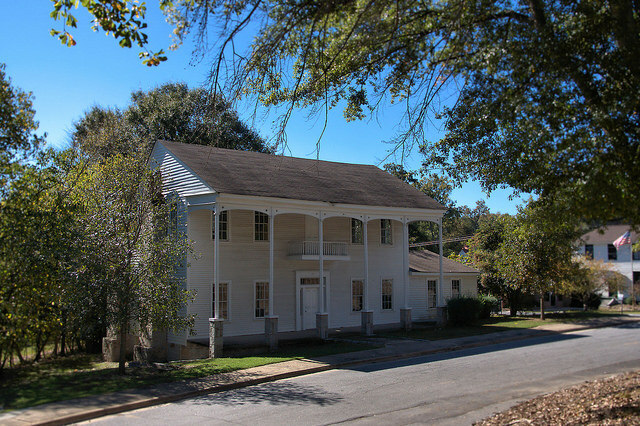 The last survivor of the houses that once surrounded the courthouse square, the Knox house largely retains its original appearance. 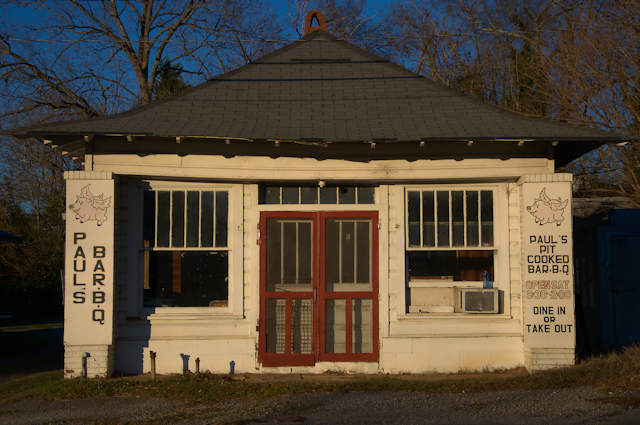 The thin columns are rarely found on I-Houses in Georgia, and their raised granite bases are even more unusual. 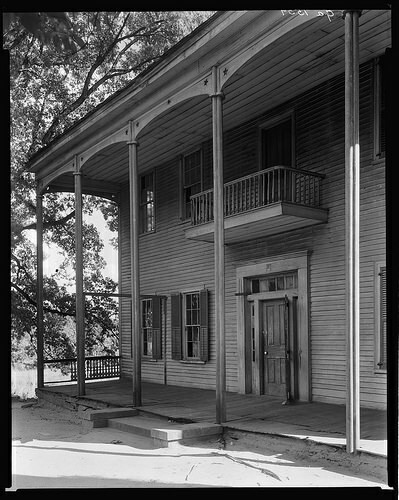 They’re apparently later additions, as they’re not visible in the image below made by Frances Benjamin Johnston for he Historic American Buildings Survey in 1939. Photograph Courtesy Library of Congress. Surrounded by a stacked granite wall on expansive grounds, this is one of the most imposing properties in Lexington. Photographs of the gardens were included in the landmark Garden History of Georgia (1933). 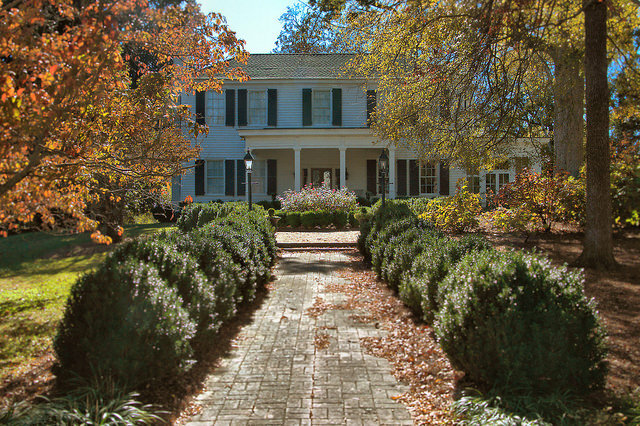 Though the one-story portico seen here is now the entrance, it was once the rear of the house. 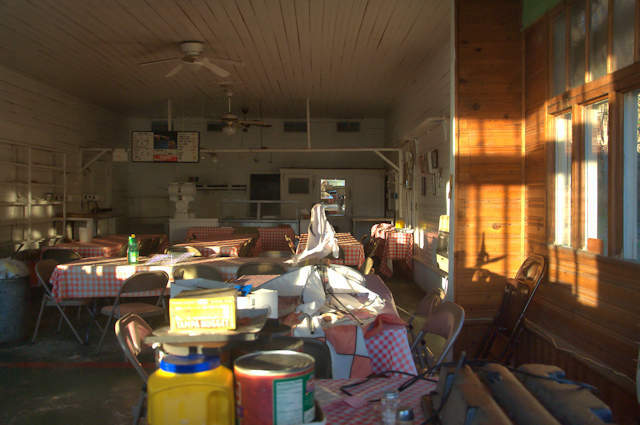 Otherwise, the house is in relatively original form. Amazingly, another of his Georgia homes survives largely intact in Athens, now used as bank offices. Connecticut native Stephen Upson (1785-24 August 1824), who was called the “wisest man in Georgia” during his lifetime, came to Lexington via Virginia to study law under William H. Crawford. He married Hannah Cummins after establishing a practice in Lexington and was a member of the Georgia legislature from 1820 until his death. He also served as the head of the Georgia bar. 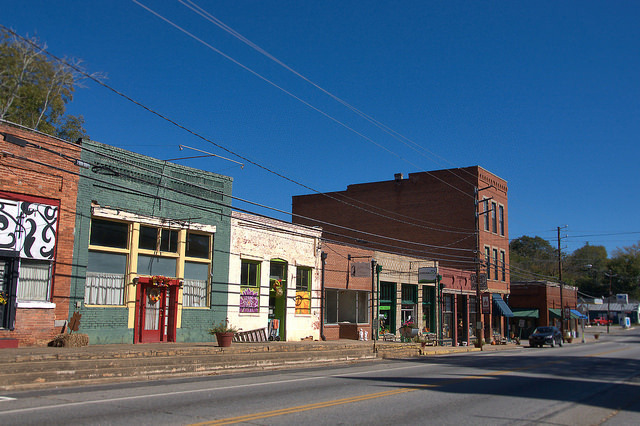 Shortly after his death, the legislature created and named Upson County in his memory.